We are so excited for the book's official launch event and hope you enjoy the following Q&A with co-author Saundra Shohen! How did you come to write The Night John Lennon Died… so did John Doe? Since I was the administrator of the ER at Roosevelt Hospital on December 8th, 1980 and was part of the ER team on call when John Lennon was brought in, the events of that night are as clear to me today as they were 35 years ago. The last chapter ('The Death of John Lennon') in my book, EMERGENCY! 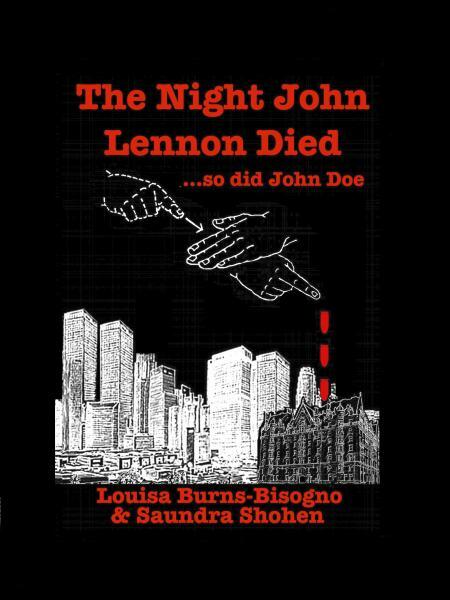 (Published by St. Martin’s Press) is the ‘jumping off’ point for The Night John Lennon Died… so did John Doe. When I told my friend and co-author Louisa about a man who was in the trauma room next to John’s, had no I.D. and died within minutes of Lennon being pronounced, she was intrigued. We decided to write our book based on that unidentified patient, what his story would be and interweave it with the tragic murder of John Lennon. The Good Earth was published three years before I was born. It was by far my favorite book of all time. Set in various locales in China, I could almost smell the scent of the earth which sustained the characters—this as a result of author Pearl S. Buck’s extraordinary story telling. The Good Wife, Dallas, and Downtown Abby cannot compare with Buck’s dramatic challenges which her fully-developed characters experience. Issues of alcoholism, adultery, and murder are woven into the universal societal behaviors in 1920’s China. Through flood and famine, the generations survive and even flourish. I was one year old when Pearl S. Buck won the Pulitzer Prize for this timeless novel. It remains, for me, a thrilling reading adventure. I am currently editing a three-generational autobiography of a family, which reaches back to the 1700’s, leading up to the 21st century and famous paintings presently mounted at the Metropolitan Museum of Art in New York City. I have written a short story about my fifty-year friendship with the boy who was my first kiss when we were teenagers. Each of our lives has taken many twists and turns. Through it all we have remained close friends --buddies. We hold each other’s history in a unique way -- a lifetime of memories. Don’t know yet where it may be placed. The Jelly Bean Family is a book for young children based on a multi-racial, multi-ethnic blended family. A planned move from their familiar friends and surroundings generates worry and concern for each of the kids in unique ways. I wrote this story for my five grandchildren in 1998. All of my wonderful grandkids are grown now and some have children of their own. This story remains unpublished.